Real Estate SEO - It's MORE than the sum of its parts! May 17, 2017 SEOBy DEANknows! Real Estate SEO has many of the aspects of Search Engine Optimization in any other industry but has some unique attributes too. As in all modern SEO, to be be successful requires a holistic approach to Digital Marketing. 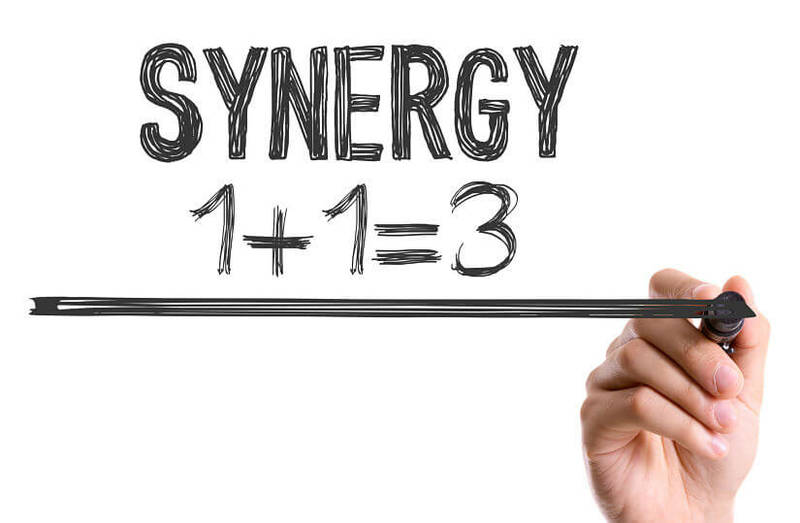 When all of the pieces work with synergy, everything starts to come together. This is even more the case for Real Estate SEO because many REALTORS and real estate brokers are already heavily involved in Social Media and other digital activities. With their listings bein displayed on other (and some may say competing) websites such as Zillow, Trulia, Homes.com and any other real estate broker in the IDX pool, this provides another unique layer to having the full digital strategy be more than sum of all of the moving parts. So What Are The Parts Of Real Estate SEO? Most real estate agents are heavily involved in Social Media in one way or another. Whether they are posting their listings to their Facebook Wall, checking in for their latest closing or simply asking their FB Friends if they know anyone who is looking to buy a house, most REALTORS are on Social Media. Because social signals are now intertwined with SEO, this can have a positive or negative affect on the search engine optimization of their real estate website. If you are posting links to your newest listing from your MLS or Zillow, as opposed to sharing your listing from your IDX powered website, you are using Digital Marketing the wrong way for real estate. With social media signals becoming the new version of a backlink to your real estate website, these types of activities have definitive effects to your real estate search engine optimization. It has been repeated over and over again…for search engine optimization, content is king. Having original content on your website, that gets updated regularly, is a very important factor in how your website ranks on Google. The challenge in the real estate industry is everyone has extremely similar content. How much is your “Homebuying” page on your real estate site different than what is on the other “Buyer” pages of your competitors websites? If you are trying to target a specific niche such First Time Homebuyers – what new content and information is your website bringing to the table? To compound the challenge, if you have an IDX powered website, most likely 95% of the content on your website is almost identical to everyone else who is displaying the same listings. This means that you need tons of new, original content to get indexed by Google on a regular basis. The trick to having synergy is the topics, internal links and keyword density of your newly produced content MUST line up with what is taking place in the other areas under the umbrella of search engine optimization. Having good On-Site SEO will make sure that all of the other external forces are amplified or at least don’t go to waist. Because real estate websites have listing content which is naturally ordered such as: County>City>Neighborhood or Subdivision>Listing – it is extremely important that the URL structure take advantage of keywords. By the time you are viewing the listing detail page, your URL structure should contain the phrases that someone would type into Google. Each level needs to have the proper meta title, meta description, H1, H2 and H3 Headers and internal linking. Where this uniquely comes into play for real estate SEO is: iI you were to pay for Facebook Advertising to promote your newest listing, all of new paid traffic at the listing level needs to provide some link juice up the silo’d URL structure. So you subdivision page (of the listing) should gain in search rankings too. If properly configured, it should provide link juice to the city and county pages too! Backlinks, or links from other websites that point back to your real estate website, are still the single most important factor in your website’s SEO. With back-links from poor quality sites substantially hurting your search engine optimization, you need to be careful where you syndicate your listings (if they have backlinks to your site). In addition, you need to be sure that any citation website (site that may have a review) such as your Zillow or REALTOR.com profile, has your NAP (name, phone number and address) EXACTLY the same. This is even more important in real estate seo because REALTORS rely heavily on personal reviews. One other thing that should be mentioned is any and all of the accounts that may be set up for you such as Zillow or Active Rain, should be strategically put together and the anchor text pointing back to your site (and the exact URL it points to) need to be well thought out. Needless to say, the social media side comes back as many agents share their reviews and 3rd party profiles. Real Estate websites have unique challenges for SEO. Today SEO is a variety of tasks, all of which should come together to equal more than the sum of its parts. Many of those “parts” are already being implemented by most agents and brokers but without a holistic approach and overall strategy. If you have hired an SEO company to increase your rankings in Google but are not working in concert with their efforts in your social media you may be getting the full results that you could. If you are writing blog posts on Active Rain then putting that same content on your personal blog, you are hurting your website’s SEO. If you are posting on social media your most awesome new review, but that profile is inconsistent with the Name, Address and Phone number listed on your real estate website, you are hurting your SEO. We have only covered a handful of the challenges with real estate websites and how to create synergy. With almost every real estate agent having a website and all of them wanting to rank for the same keywords, you cannot afford to not have everything working in your favor.